What do England, France and Italy have in common, apart from making great cheese? They all have their own kinds of lavender. This fragrant plant is drought-resistant, beautiful to look at, and the bees love it! The best thing for us is that it has some powerful therapeutic uses when included in skincare formulations. We source our lavender from passionate local growers, Mount Darragh Lavender, in the Bega valley, Wyndham, NSW. The team over there have been growing lavender for 20 years and use a chemical-free distillation method – the slow and steady, old-fashioned way using wood-burning stills – to create a top end oil that is pure perfection. The first recorded use of lavender was during Roman times, but almost certainly goes back further than that. There are 47 species of lavender that grow wild from Europe, through Africa, and right across to Asia. What most people know as lavender is Lavandula angustifolia, otherwise known as English lavender or true lavender. Lavender is know for its antiseptic and anti-inflammatory properties and the oil has been used in topical treatments for skin for centuries. It is also an effective mosquito repellant. The leaves can be made into a tea, or used as a culinary herb, much like rosemary. The flowers are also used to flavour cakes and desserts. Because it smells so pleasant, it is commonly used to fragrance bath products but when it comes to Saarinen products, we include it because of its gentle healing power. 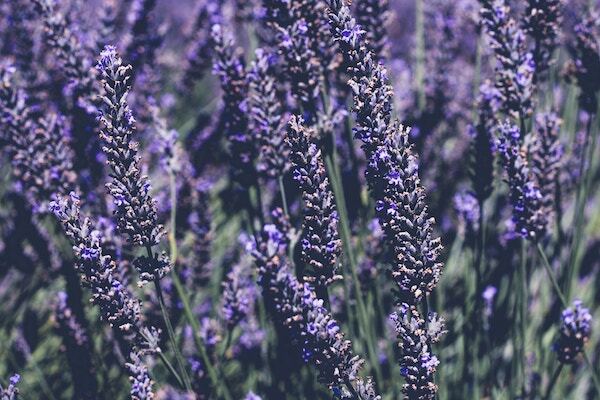 We use Mt Darragh Lavender, Angustifolia essential oil in our face skin care for it is low in campher and gentle to use on your skin, which means it doesn’t burn the pores open. We also use Mt Darragh Grosso lavender essential oil which is very high in campher and mainly used for the body as the skin can handle the high campher from the neck down. Did you know that zinc oxide is in a lot of sunscreens? Most people think of the white stuff that cricket players have on their noses and lips when they think about zinc, but zinc oxide is an ‘invisible’ ingredient in a lot of formulations. It’s what gives some sunscreens that opaque sheen. There has been some debate about whether the zinc oxide in sunscreens can be absorbed into the bloodstream which is why we use non-nano zinc in our products. Read on for a brief explanation of the difference between nano and non-nano zinc. Zinc oxide is a white powder that is manufactured in a lab. The difference between nano and non-nano zinc is the size of the particles in the powder. 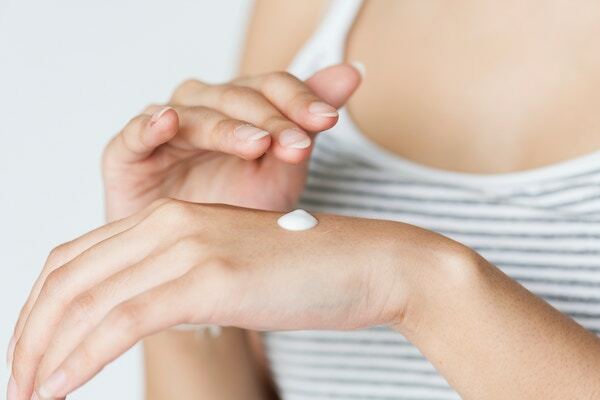 The benefit of using a non-nano zinc oxide in skin products is that the particles are too large to absorb through the dermis and into the bloodstream. People have been using sunscreens for centuries. Ancient Greeks used olive oil, ancient Egyptians used extracts of rice, jasmine, and lupine plants and the nomadic sea-going Sama-Bajau people of South East Asia used a paste called borak that was made from water weeds, rice and spices. Zinc oxide paste has also been popular for skin protection for thousands of years. Synthetic sunscreens arrived on the market in 1928, with the first major commercial sunscreen launched in 1936 by the founder of L’Oreal, French chemist Eugène Schueller. Zinc oxide particles in a cream base block or scatter UV rays so that they can’t get through to the skin. It is highly debatable whether nano zinc oxide can get into the bloodstream through the pores but I prefer using non-nano zinc oxide – defined in Australia as having more than 90% of particles above 100nm in size – because non nano zinc works exactly the same way so why take the risk? Want to try our day cream with sunscreen? Click here to buy. This picture of a water tank may not look terribly exciting on the face of it, but let me tell you why you should be beaming as big as I am right now. Liquid skincare solutions or creamy skin based solutions contain quite a lot of water or water-based infusions, our Saarinen Organics creams are ALL herbal infusion based. Unless your manufacturer is completely transparent, you wouldn’t know the origin of the water nor what type. It could be tap water for all you know and contain chlorine or fluoride or any measure of preservatives to prevent spoilage. Perhaps the skincare manufacturer is not even aware of what your water contains, as it’s not their priority or their ‘key ingredient’. Perhaps they’ve overlooked the fact that their “floral water” may not come from the most pure of sources or have been contaminated with chemicals or preservatives in the process from the company they buy it from if they do not make it themselves, as is often the case. Perhaps the containers it’s delivered in aren’t BPA free, and this chemical could be leeching into your products and into your skin, comprimising the integrity of the products you buy and use. This is our stainless steel, food grade water tank. It captures fresh rainwater on the farm, the farm situated 200 metres from a beautiful National Park. It’s the water we drink from, the water we use to bathe and use to make our herbal infusions for our creams. So you know exactly where our water came from. And you know exactly how our herbal infusions were made. And you know that the water used for our products is no lesser quality than the water the manufacturers themselves would personally drink. It’s a highly overlooked ingredient in the manufacture of skincare products, as it’s the most basic and not the ‘active’ ingredient most companies wish to promote. But it’s in everything, and it’s hugely important. At least, when it comes to products of integrity.  I urge you to think about the products you use and consider that if you wouldn’t eat it, then don’t put it on your skin! 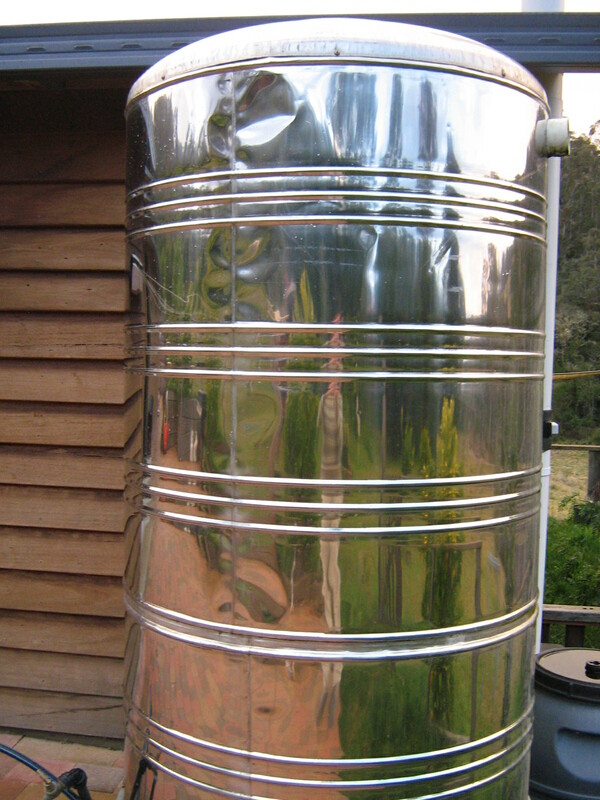 And admire our beautiful stainless steel, food-grade rainwater tank in all it’s glory! It’s the little details that matter the most.